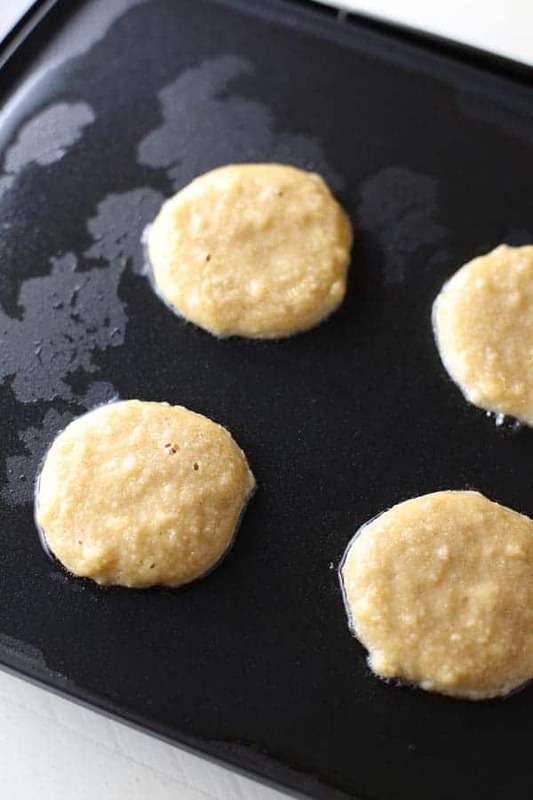 Paleo Silver Dollar Pancakes, made with coconut flour, are a delicious Paleo version of the classic breakfast. So how’s your summer going so far? Did you have a happy 4th of July? We’ve been busy with lots of company this summer and It’s been a lot of fun. Old friends we haven’t seen in years and some of our favorite cousins that live far away. I was also on TV last week. Did you see the video I posted on Facebook? I was demonstrating patriotic treats on a local talk show called Atlanta and Company. I had a blast and hope to do it again very soon. With all the excitement and visitors, it’s been hard to squeeze in a blog post. I’ve been wanting to make these pancakes for several weeks and just couldn’t find the time. So without further ado, let’s talk pancakes! Why PALEO Silver Dollar Pancakes? My daughter recently found out that she can’t have gluten or dairy, so she’s been experimenting in the kitchen. She saw a simple pancake recipe on Instagram and decided to try it. Just 2 ingredients, bananas and eggs. Easy, right? She made them and they were awful! They tasted like banana flavored eggs. Yuck! 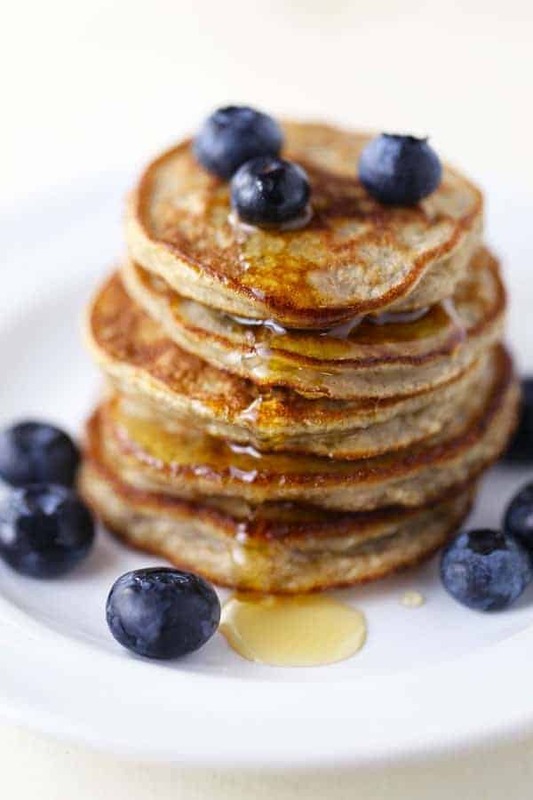 So I thought I would try a similar version but added gluten-free flour and a few other ingredients to make them taste more like real pancakes! This is what I came up with. 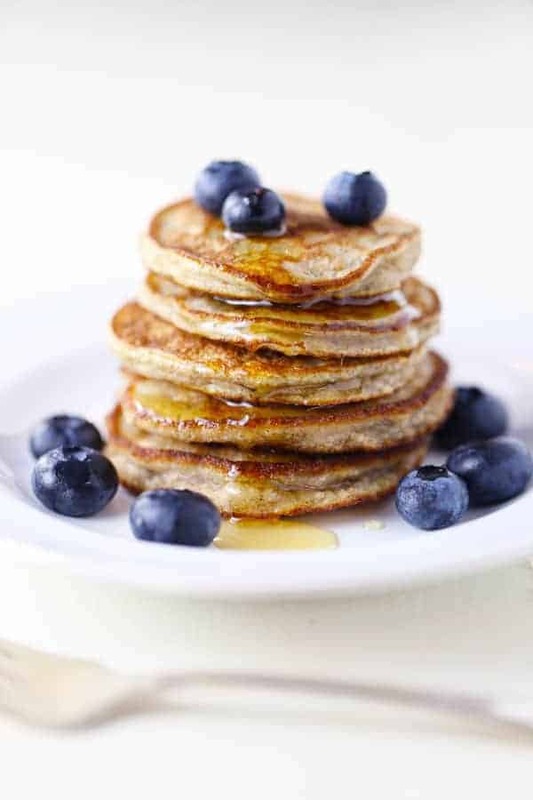 My Paleo Silver Dollar Pancakes are so tasty, you won’t even miss the gluten and dairy! 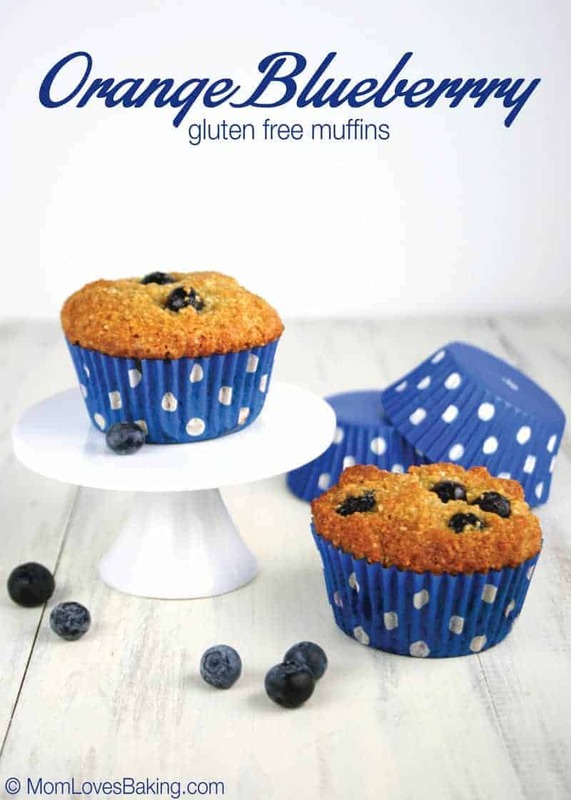 With no refined sugar, they are also Paleo friendly. 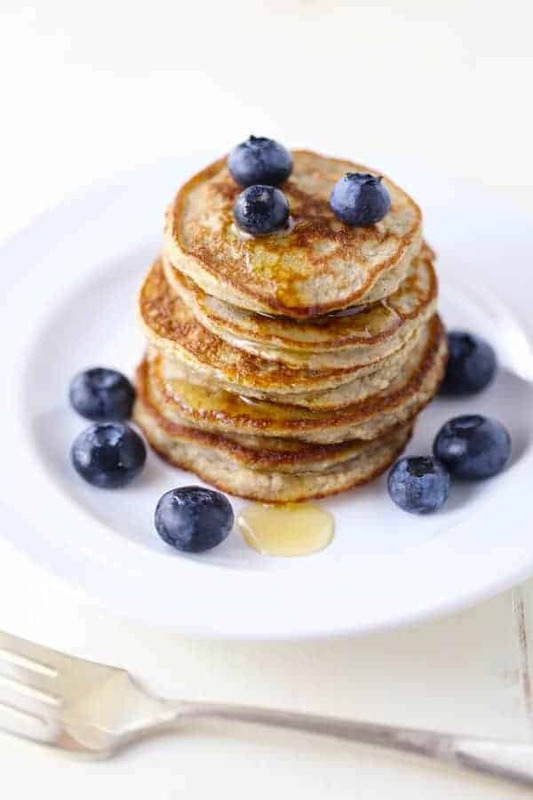 Serve with a drizzle of honey and fresh blueberries and you’ve got yourself the perfect breakfast or maybe even dinner (if you like breakfast for dinner like us). Paleo Silver Dollar Pancakes are simple to whip up in a few minutes. 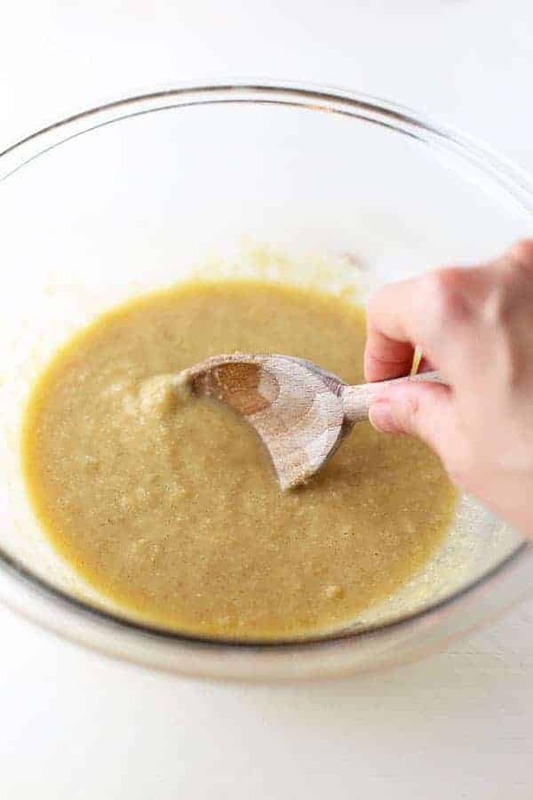 Combine eggs, a mashed banana, oil, coconut flour, baking soda, salt, cinnamon and almond milk in a medium sized bowl. Stir with a wooden spoon until completely combined. The batter might be a little bit lumpy, but that’s ok. I used an electric griddle to fry up these babies because I can do lots of them at once. You can also use a frying pan on the stove, just make sure you use plenty of oil so they won’t stick. 1. Fry them for a few minutes on each side. 2. Then transfer to plate. They’re ready to eat! You could also serve these Paleo Silver Dollar Pancakes with chocolate chips and your favorite syrup. 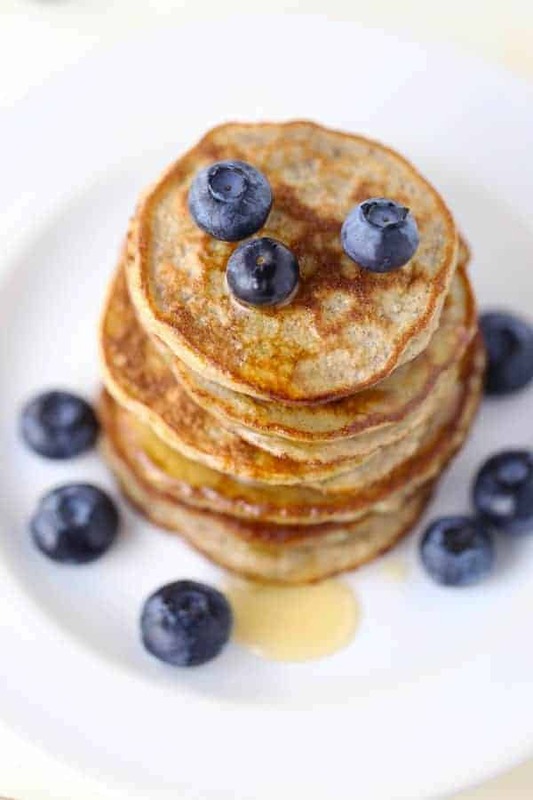 I love the combination of honey and blueberries though and it pairs perfectly with the pancakes! Let me know if you try them. Enjoy! In a medium bowl, stir together the egg, banana, and oil. Add the dry ingredients and almond milk. Stir until completely combined. Preheat an electric griddle or frying pan on medium heat. Add a generous amount of oil to coat the entire griddle or pan. Pour about 1 tablespoon of batter for each pancake. Do not let the edges of the pancakes touch. Let the pancakes cook for a couple of minutes. When you see a few bubbles and the edges are golden brown, then it's time to turn the pancakes. Let them cook for another minute or until cooked through. Remove to a plate and repeat process with remaining batter. Serve warm with honey and fresh blueberries. 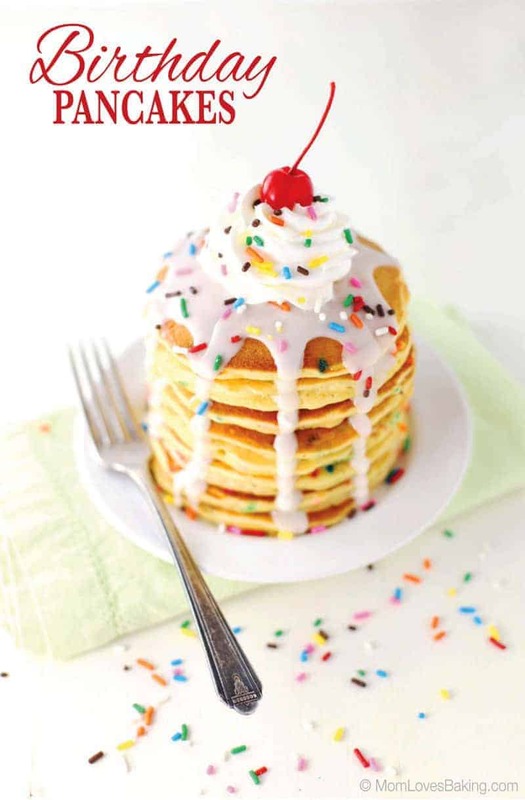 Birthday Pancakes made with cake mix.